Google's Motorola Mobility acquisition: Will it affect Apple? Google’s Motorola Mobility acquisition: Will it affect Apple? Today, Google announced that it had entered a formal agreement with Motorola’s smartphone arm Motorola Mobility to acquire the mobile maker for $12.5 billion, providing the search giant with a platform from which it can finally launch an assault on the smartphone market with its own devices powered by an operating system that it has developed in-house. The company has maintained the Android ecosystem for over four years, with help from some of the world’s top smartphone vendors. Iterating the platform to provide mobile manufacturers with operating system that costs next to nothing to license, is adaptable and is feature rich, Google has now seen 150 million Android devices activated worldwide, over 550,000 devices activated each day and the platform now powers over forty percent of smartphone devices worldwide. Whilst Google will never admit it, the acquisition of Motorola Mobility not only shoots across Apple’s bow, it ensures that Google has a battleship worthy of sailing in the same waters as Apple. In one purchase, the search giant has suddenly gone from relying on advertising revenues from its Android ecosystem to directly profiting from handset sales, demonstrating that the company believes mobile is integral to its future success. Should Apple be concerned? Initially, Apple has nothing to worry about, but Google will pull out the stops to make a dent in the Cupertino-based company’s smartphone and tablet market shares. Engineers and employees in Cupertino will be aware of the Google/Motorola deal but as the market stands, Motorola’s smartphone sales are stagnant whilst Apple’s continue to rocket through the roof. Motorola’s second quarter saw the company post total net revenues of $3.3 billion, growth of 28% year-on-year but it also saw a net loss of $56 million, compared to $80 million earnings a year previous. However, Apple posted $24.67 billion revenues in its second quarter, ensuring the company became the world’s largest smartphone maker on sales whilst the iPad dominated the tablet market. 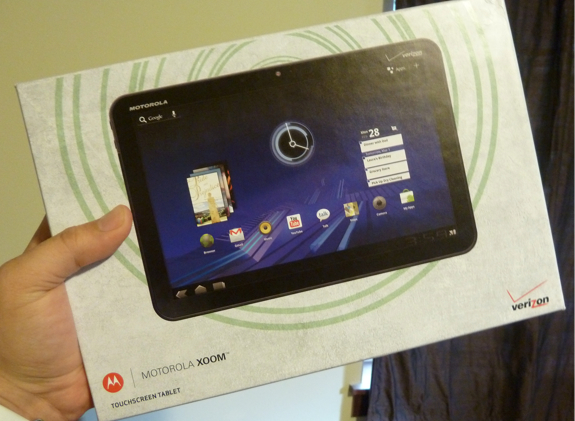 Motorola forecasts that it will sell 1.5 million units of its Xoom tablet over the course of 2011, paling in comparison to Apple, which sold 4.69 million iPads in its last quarter. Put simply, Google will need to start again. Sales of Motorola smartphones have dwindled, its tablet sales are lacklustre compared to that of its main rival and will likely see Samsung eclipse its sales figures with the Galaxy Tab 10.1, in spite of the legal furore surrounding it. Leading mobile consultant Tomi Ahonen has already pointed out that even if Google was to provide the catalyst for a massive sales overturn, the company still only has the “manufacturing ability to sell 8-9 million smartphones per quarter,” half of what Apple is currently producing. Google has said it will continue to develop its Nexus smartphones, despite taking on Motorola’s Droid smartphone portfolio, suggesting the company will remain focused on delivering high-end smartphones that are capable of rivalling Apple’s iPhone. Google hasn’t partnered with Motorola to release one of its Nexus-branded smartphones in the past but I imagine the two companies have been in talks to develop a next-generation Nexus handset before the deal was done. Larry Page explained just how much Motorola’s patent portfolio meant to Google when he wrote the announcement blog post explaining the acquisition. Taking aim for Apple and Microsoft, Page set out to detail how Motorola’s patents would assist the company in the defence of its Android innovations and claims levied against them. Google’s Motorola purchase saw it net 17,000 established patents with 7,500 still awaiting approval. The significance of the patents is huge, Google now owns three times the number of smartphone and communications-related patents that were recently purchased in the Nortel auction, an auction that Google found itself outbid by a consortium including Microsoft, Apple, Oracle and EMC Corporation. More recently, Google too has been engaging in more patent-acquiring activities, securing over a thousand patents from IBM. 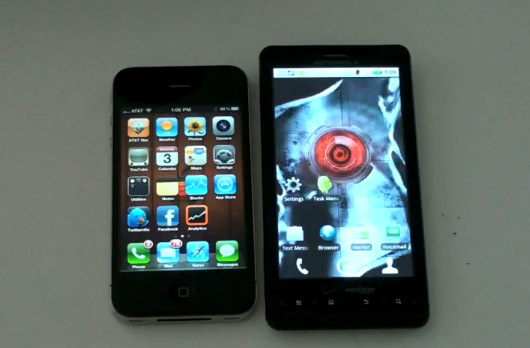 Although Apple and Google are not involved in any formal legal action against each other, Apple has been asserting its intellectual property rights against smartphone vendors Samsung and HTC, which are accused of infringing on patents that are attributed to the companies’ use of Google’s Android operating system. The purchase of Motorola means that for the first time, Apple and Google will face each other in a legal dispute, as Apple is currently engaged in a lawsuit against Motorola. Patent acquisitions will not affect either company at present, they will merely serve as a deterrent to one another, should either company deem its rival to be infringing on its intelectual property. If legal action is brought against Google by Apple or vice versa, both companies will be able to tap into their patent portfolio and countersue, ultimately leading to cross-licensing – and an escape from excessive royalty fees. Google’s decision to operate as a vendor but also a software developer may align it with Apple but it can also provide a headache for the company, as it tries to innovate its own devices but also ensure that its partners receive the updates promptly and fully-featured. The problem with appeasing its partners whilst striking out on its own is that if it doesn’t maintain Android to a high level, it can alienate the likes of HTC, Samsung and ZTE, which could begin to look at other platforms should they not find Android to be competitive as it once was. Apple, on the other hand, has no such problems – the Cupertino-based company can continue to develop its own platform, specifically for its own devices without having to fear a backlash from partners, because it doesn’t have any (other than the carriers). Google has to focus on making its platform available for a range of different architectures and chipset designs, whilst developing its own, whereas Apple positions the goalposts with its iPhone and iPad, and doesn’t have to move them in the face of alienating its competition/partners. However, Google is entering a phase in its Android development that is certain to reduce the fragmentation of its platform, something that has plagued Google since it began offering Android to mobile operators. 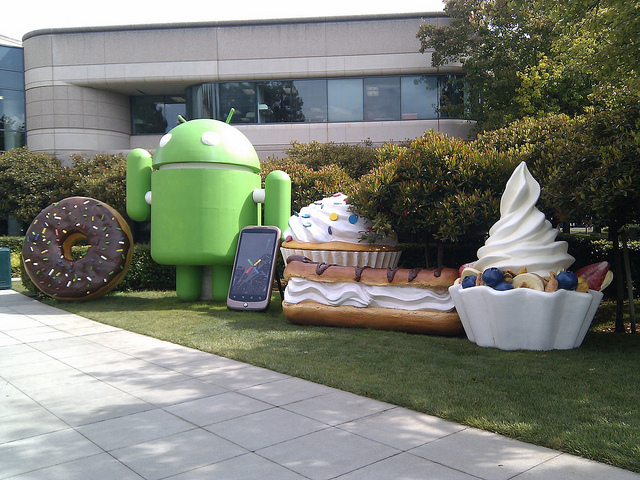 The company is to release Ice Cream Sandwich in the coming months, a firmware that will amalgamate its smartphone and tablet operating systems, possibly reducing the amount of effort needed to maintain a number of separate operating systems for its own devices and those of its partners. The operators, given full control over the roll out of Android updates in the past, may find that now Google is involved at an operator level they may find they are leaned upon by the search giant to roll out updates faster for all handsets, especially as Google will most likely update its own devices as soon as an update is ready to be rolled out. Apple doesn’t suffer from the same issues, but with Google putting more pressure on operators (and now vendors) to make updates ready as soon as possible, Android users will be satisfied by the level of service they would be receiving, increasing customer loyalty in the process. The surge in popularity of the iPhone has led Apple to command a certain air of authority over mobile operators, especially when Apple partnered with small numbers of operators and signing exclusive deals with carriers all over the world. Google’s Android platform surged in popularity but Google never had control over where its operating system headed or who it was made available to, until it began working on its own Nexus-branded handsets with HTC and Samsung. With its acquisition of Motorola, Google now has an inside track to the carriers. Up until now, [Google] hasn’t had any real connection to the carriers (where all the big, explosive growth in data traffic is happening and, consequently, all the rich data is being produced that would greatly impact ad CPMs). But with the way that carrier/handset relationships work (the carrier works directly with the handset manufacturer to customize the handset for their needs and network), Google will now have the opportunity to develop carrier-specific features (i.e., some aspect of their ad network that a carrier can use to generate incremental revenue and which makes Google more money) that are baked into the very handset and the carrier network. This is a really powerful value proposition (and one which Apple already has; just think visual voicemail). This, I believe, is where Google can upstage Apple, with a range of tailored but configurable services that add value to a mobile operators brand. Instead of having to rely on advertising for Android revenue, Google could cosy up to the operators to launch exclusive features to customers of a certain network, in effect copying Apple, but having more scope and an increased amount of handsets on which to do so. Keeping an ear to the early buzz, many believe Google has acquired Motorola’s handset business purely for its patents. With $12.5 billion involved, $9.5 billion of it reportedly in cash, can you really see Google investing that sort of cash and then not doing anything with it? Google has known what it was going to do for a long time, which makes it all the more interesting when you look at how it positioned itself in the recent Nortel patent auctions. Would Google need to pay over the odds for a patent portfolio if it knew it would be able to acquire some 25,000 patents in the near future? Something tells me it had a price in mind and had no reason to negotiate once that limit had been reached. Apple will continue to maintain its hold over the smartphone and tablet markets, the company has innovated to a point where even Google is playing catch-up. That said, Google now has the ability to create devices of its own without facing revenue shares, constraints on design, output and partnerships, as it will now have full control over these processes from the very beginning. Google will need to spend a lot of money to reverse the sales decline Motorola experienced in the wake of increased sales from Apple, Samsung and HTC, but I believe with $12.5 billion already invested, it will do whatever it needs to ensure it is a success. Bear in mind that the cash it’s spending on the Motorola deal was just a third of its cash reserves.